Famous for the production of cork, which has made it one of the richest Sardinian locations (and has ranked it amongst the top 100 most industrialised municipalities in Italy since 1979), Calangianus lies in a basin 500 metres above sea level, protected by granite and wooded hills of the Limbara massif, in the deepest parts of Gallura. 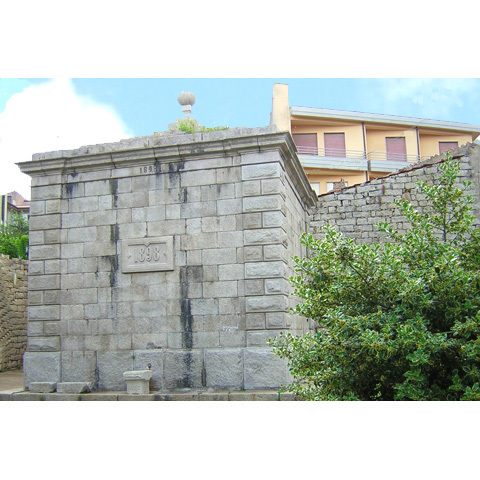 The first mention of Calangianus, identified in Antiquity with the oppidum of Calangiani on the road between Olbia and Tibula (today’s Castelsardo), dates back to 1100. 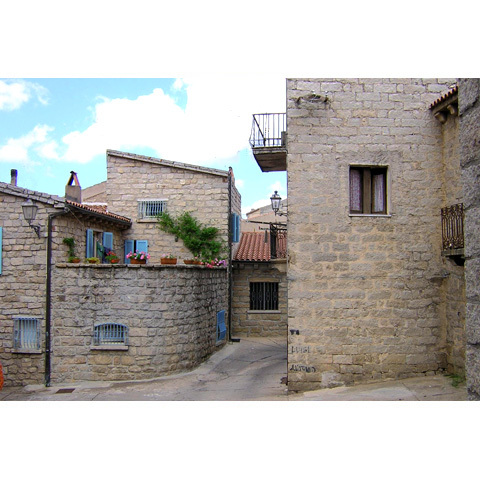 Its historic centre consists of streets paved in granite (another aspect of its prosperity), with stone houses arranged around the parish church of Santa Giusta. Also characterised by a 14th-century granite façade, it was enriched in the 16th century by a painting depicting the Assumption and in the early-20th century by frescoes and marble works. The Museo Diocesano d’Arte Sacra (Diocesan Museum of Sacred Art) is an exhibition space housed within the Oratory of Nostra Signora del Rosario, adjacent to the parish church. Here, a collection of precious pieces dating back to the 16th and 18th centuries can be admired, being especially liturgical objects. 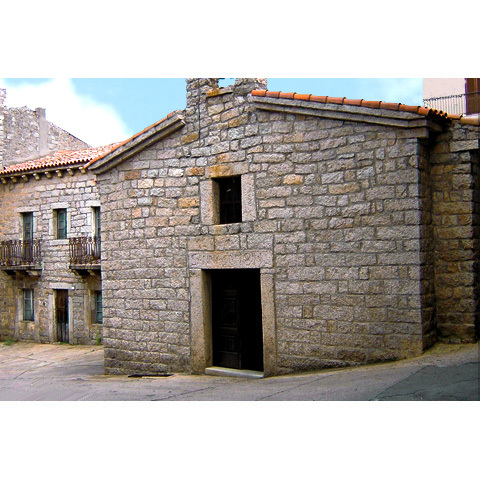 In the oldest part of the village, stands the Chiesa di Sant’Anna (1665), also in granite, which houses a 19th-century painting depicting the saint. On the outskirts is the Chiesa di Santa Maria degli Angeli, behind which is the Capuchin monastery, built in 1705 and suppressed in 1866. Now restored, it currently houses the cork museum, which recounts the symbolic tradition of the town, displaying ancient machinery and objects in cork. 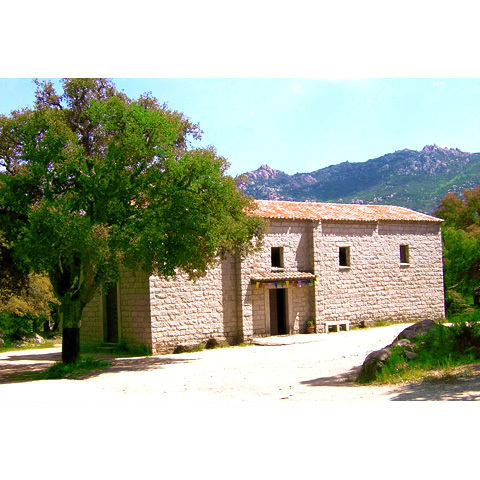 In the countryside stand the churches of Santa Caterina and San Leonardo, dating back to 1623. Amongst the cork trees of the park of the same name, is the Santuario di San Sebastiano Martyr from the 18th century. On a hill on the edge of the village is the Sigara spring, a destination for walks through forests and for breath-taking views. 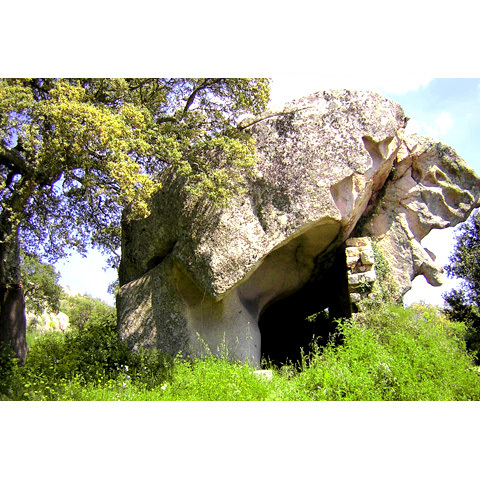 In the locality Badu Mela in the cork woods near the town, on the northern slopes of the Monte di Deu are the Tombe dei Giganti (Giants' Graves) of Pascareddha, a monument from the mid- to late-Bronze Age (1700-1400 BC). 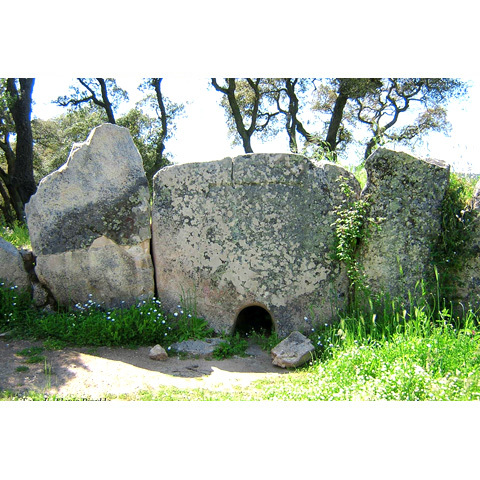 Other interesting archaeological sites from the second millennium BC include the sacred spring of Li Paladini and the Nuragic-era Agnu, flanked by a dolmen. Of the other eight Calangese nuraghe megalithic edifices, three are in good condition. 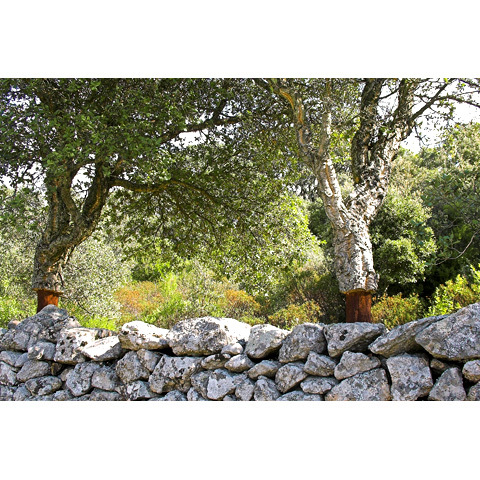 The territory of Calangianus occupies the eastern side of Mount Limbara, where forests of holm oaks, conifers and Mediterranean scrub thrive. 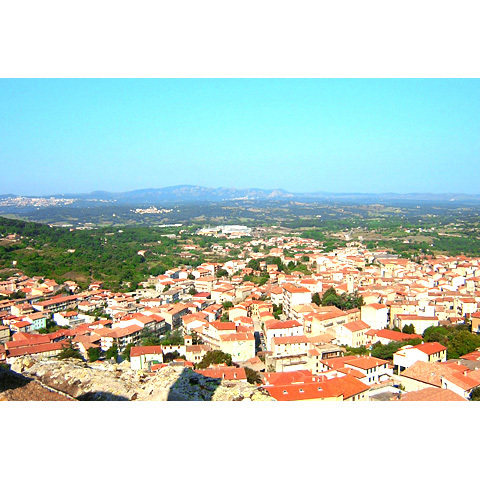 In particular, the luxuriant valley of the Rio Santu Paulu, an evocative part of Parco del Limbara, with pathways to travel along by foot and by bike, along which splendid views can be enjoyed, as well as in the Parco di Stazzana, embellished with centuries-old holm oaks.